A fun sketch this week from Sandy at The Paper Players! 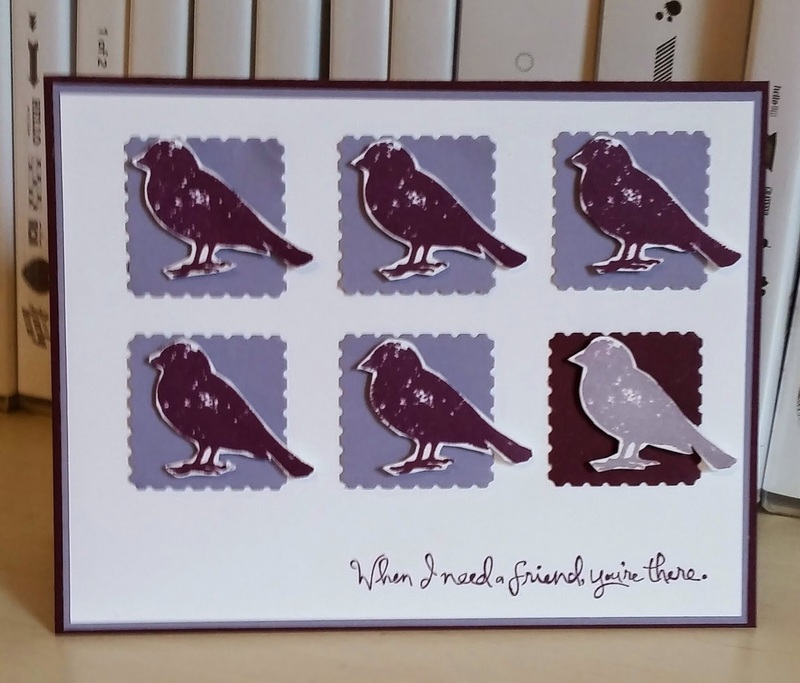 For some reason I immediately thought of this bird stamp in Choose Happiness stamp set and of course my favorite color purple! I did another card in different colors using the same layout as my card from Saturday. Still loving the Large Polka Dot emboss folder! 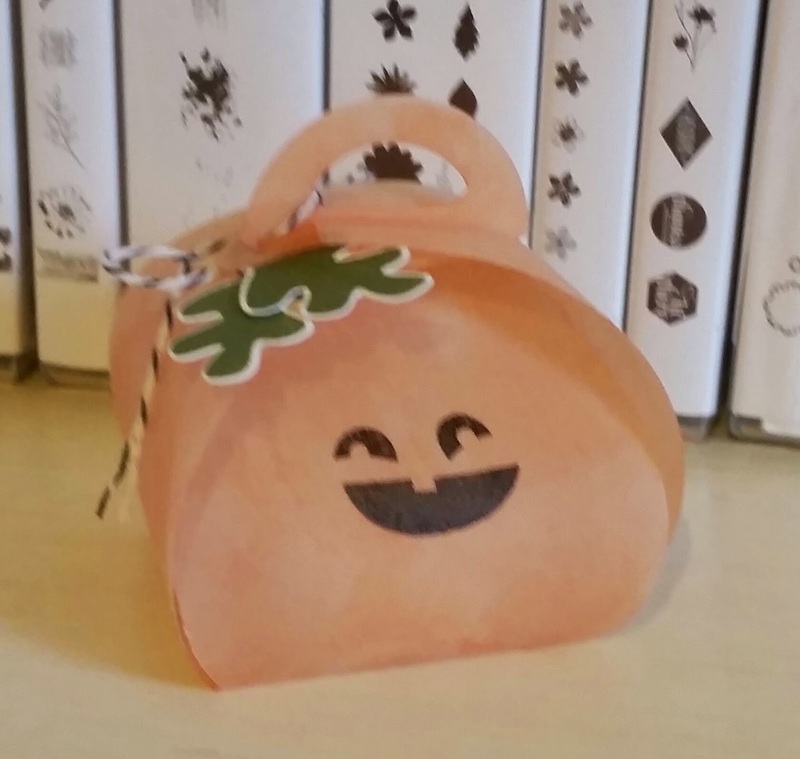 I wanted to do a curvy keepsake box with the vellum card stock and make it a jack-o-lantern! I cut my piece of vellum card stock then sponge on the inside with Tangerine Tango ink. On the outside of on panel I stamped the face in Black StaZon ink. 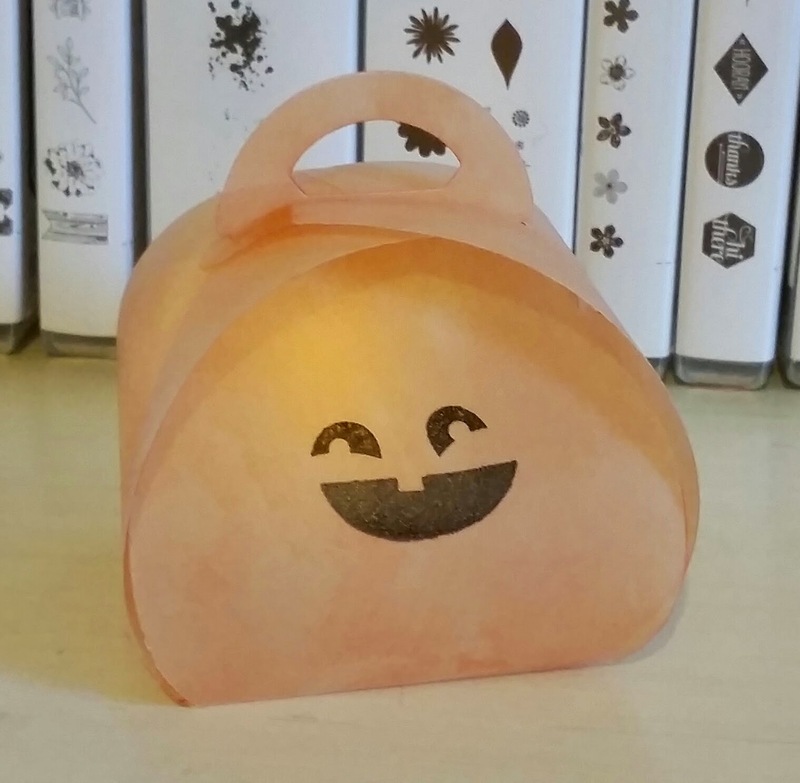 The first photo you can see the tea light (battery operated of course) illuminated inside. The second photo below I added a few decorations and placed them on the left side so could still open the right side to turn on and off my tea light. It looked so cute in the dark with the light glowing! Might have to make a few other for fall and for Christmas! 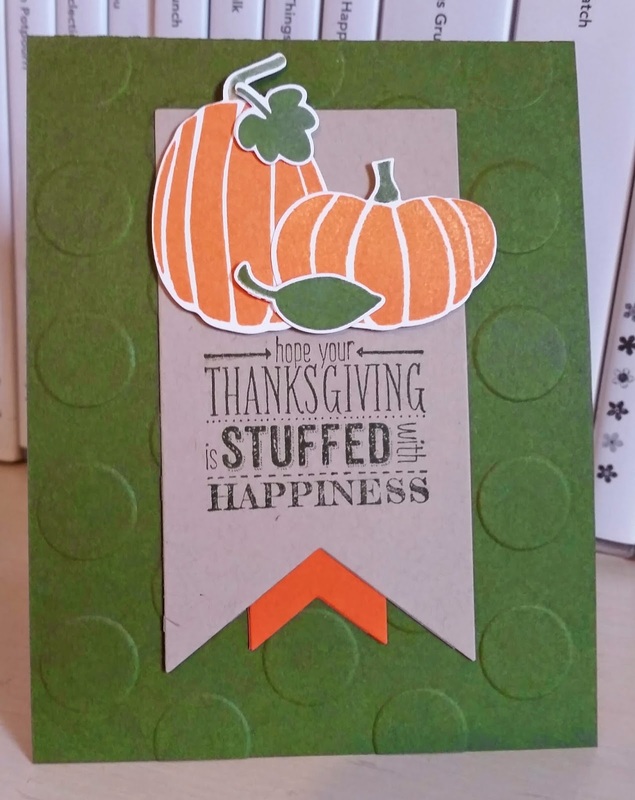 I used Tangerine Tango for my pumpkins and Mossy Meadow for leaves/stems. 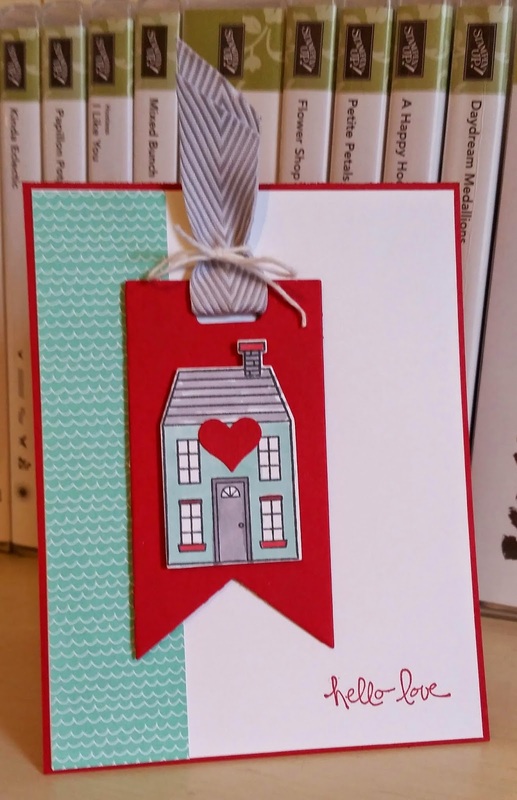 I had another house stamped and cut out but had not colored it or decided what I was going to do with it. When I saw this challenge on Wednesday then came together. I looked again a t the holiday catalog to see some colors they were using with the houses and I saw this on at the bottom colored this way in blendabilities. I used some Coastal Cabana DSP from the Maritime DSP selection. I hope you have a lovely Friday and thanks for stopping by! 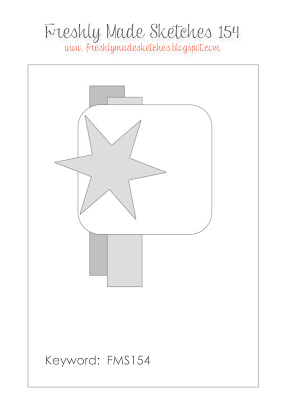 I love cards that I have made with 4 squares like this layout/sketch. But unfortunately, I usually forget about this great layout! I think I will have to design a Christmas card also with this sketch soon. 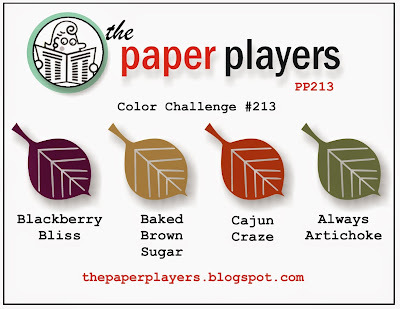 I looked at my leaves and other elements but came back to this one I thought would fun in 4 different colors. I just knew I wanted to place my sentiment in the middle of the squares and use a bow/ribbon at bottom, so I followed my gut and really like the way it turned out! Did I mention I love Balckberry Bliss! Maybe once or twice, huh? 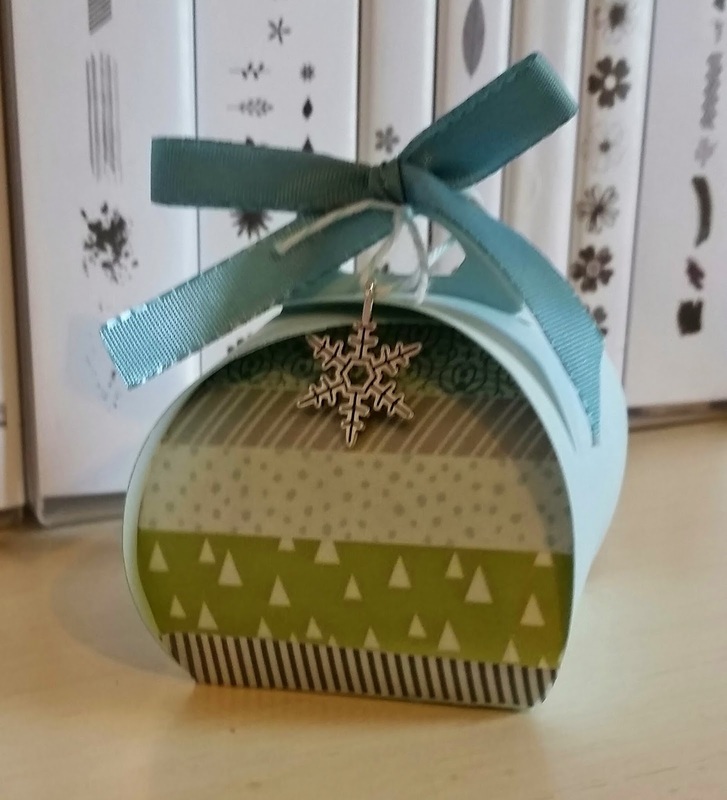 I could not wait to get my hands on the Curvy Keepsake Box thinlit die! I have seen so many cute ideas from decorating like I did above to cut pumpkins and animals! 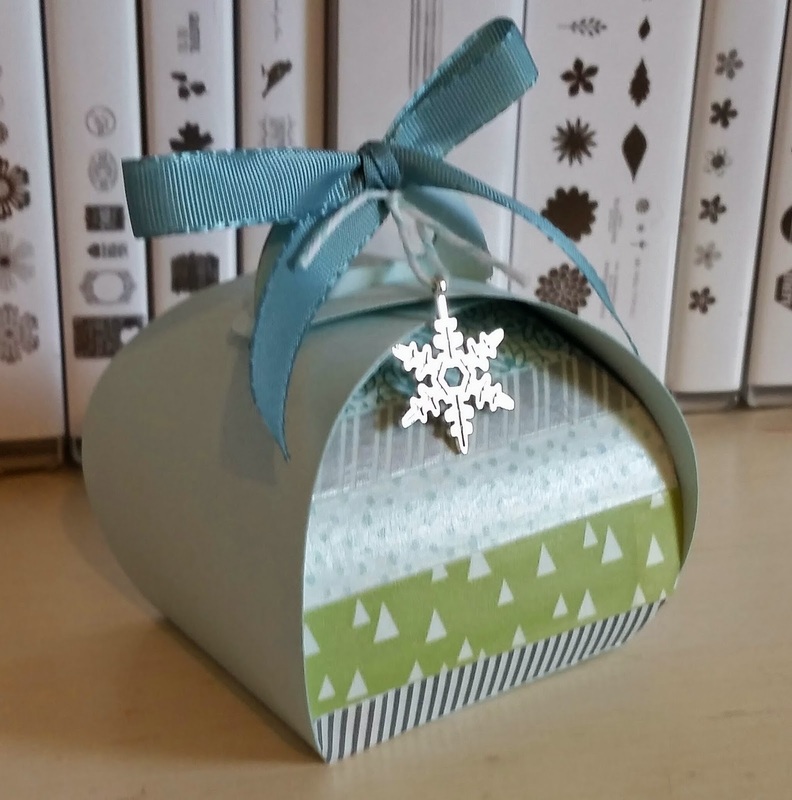 I knew i wanted to make on using some new All Is Calm washi tape and snowflake embellishments. 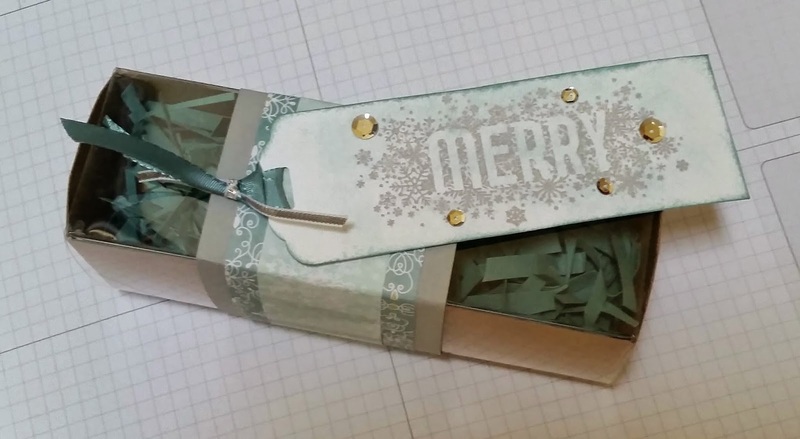 I used Soft Sky cared stock for my curvy box and applied the washi tape before assembling the box. I added some Lost Lagoon ribbon which is also part of the suite. We are making lots of these boxes at club tonight! I will show photos of more of my creations soon! 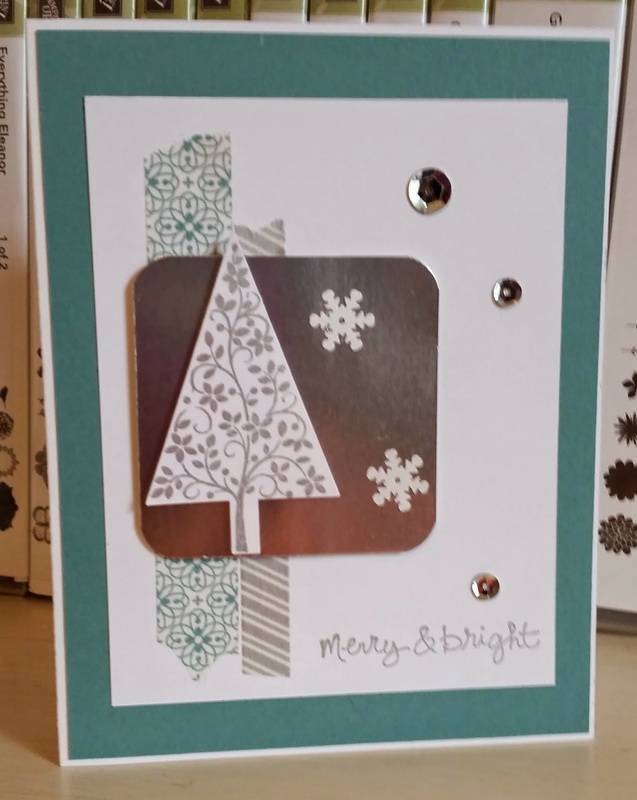 I love his Ornamental Pine card and I decide to make my own version. 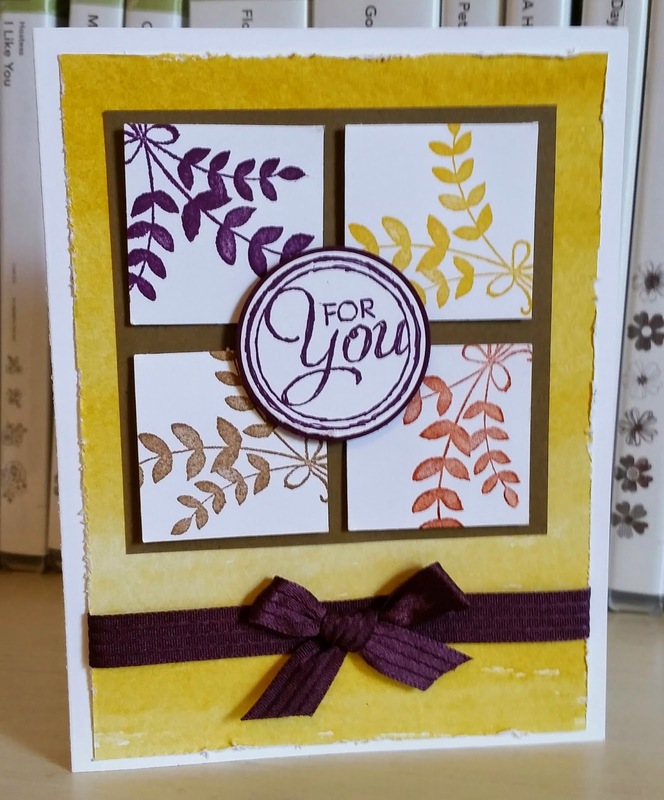 I loved his idea of embossing Early Espresso on Sahara Sand card stock. I did not like all the fine paper snipping I had to do after. Where are those who love to do these tedious things when you need them? 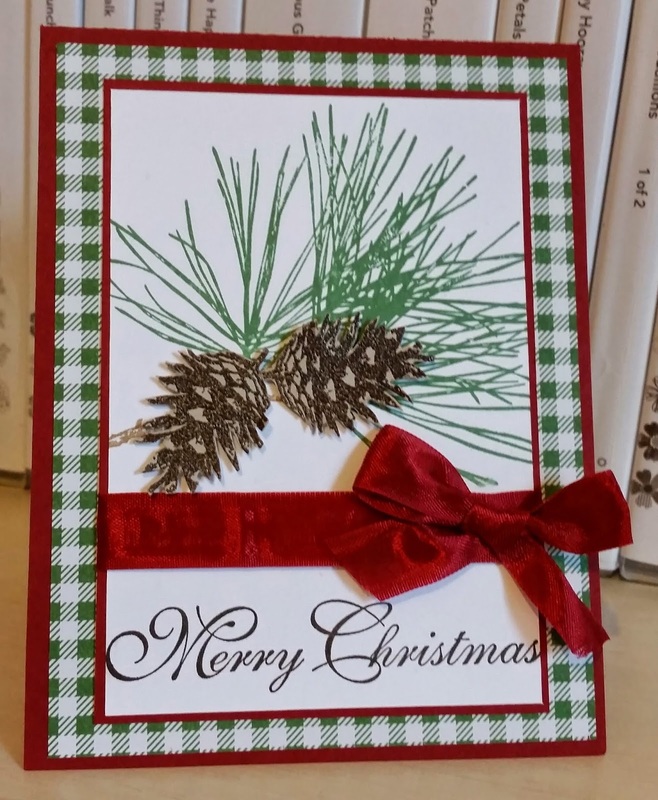 I also love the Garden Green plaid DSP and wanted to use it on a card with pines. 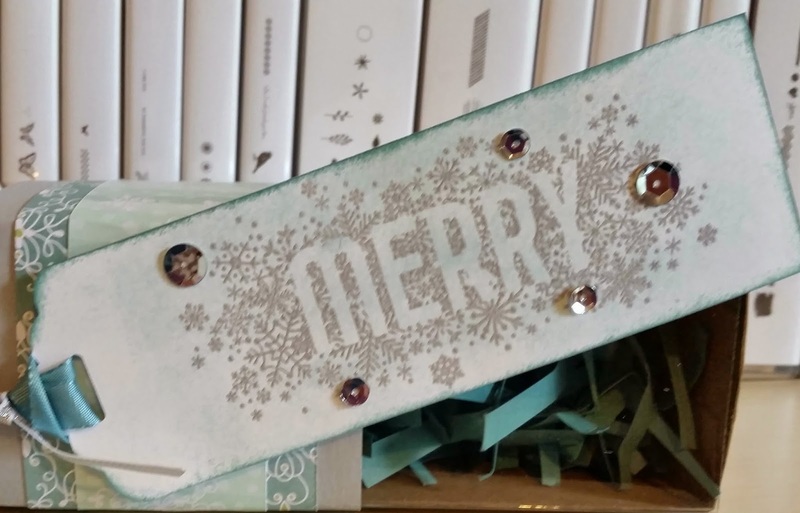 I was excited to finally find my Merry Christmas sentiment...it was not in its original case and I had to go through many a sets to find it. Guess it got stuck in a different set at end of last season! I can't believe how quick I made this card. I saw the theme, pulled the Traveler set right out and then thought of this layout. My mind first went to blues and reds so I grabbed my Real Red ink started stamping. Great card for my stash...I have several birthdays coming up in Oct. and Nov.
Another card I designed for my mom's fall stash. I will see her this coming weekend for a family wedding. Hope she will be surprised when I hand her about 15 handmade cards! Yes, I did hand cut the leaves...very easy snipping! I am designing some card to give to my mom for her to use to send friends/family. This is one for her fall stash. Simple but I love these linen looking leaves! I had just opened my Stampin' Up! 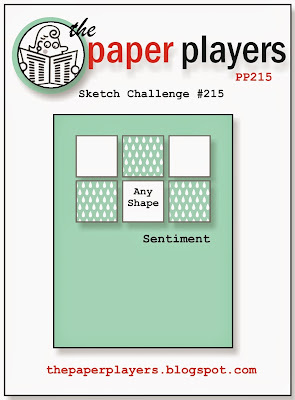 order and pulled out my All Is Calm washi tape when I saw the sketch for this week. SU! makes it so easy to have a wonderful color scheme in no time. I layed my washi tape and then decided on the swirly tree from Festival Of Trees stamp set. 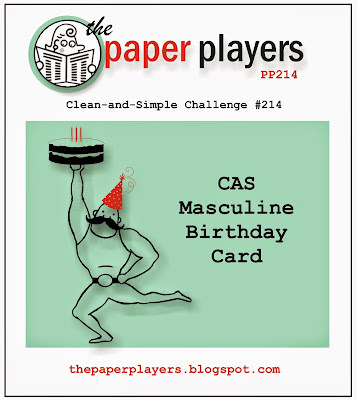 Very simple card for the sketch challenge today. I reached for my favorite color-purple or aka Blackberry Bliss here! 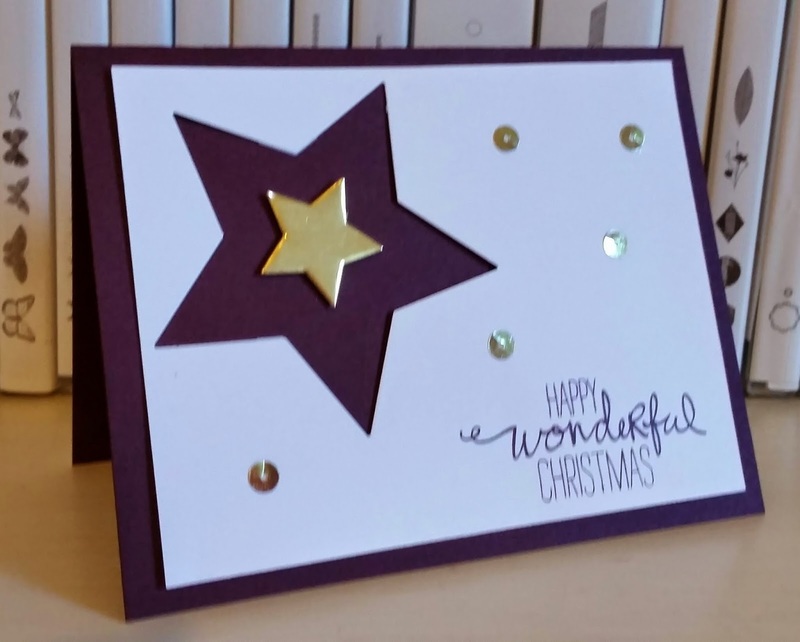 I used the star framelits to die cut a star out of white and then cut another star with the gold foil paper. The white and gold are on dimensionals. Here is another angle to see the white and gold popped up. 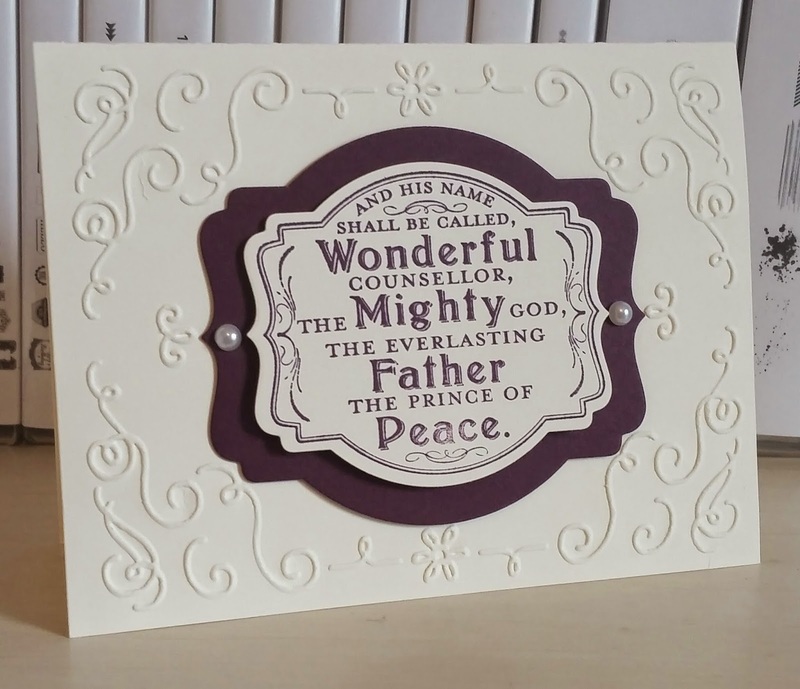 I decided to add this to my Christmas card collection with the Happy Wonderful Christmas sentiment from the Wondrous Wreath stamp set. Then, of course, it needed just a little more gold so added a some gold sequins! A little bling never hurts! I hope your Thursday is wonderful! 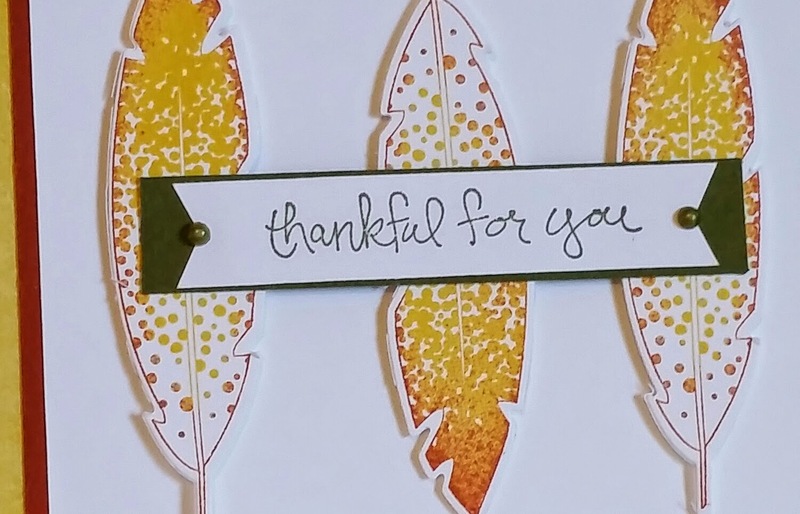 Hello to those popping over from Mary Fish's blog Stampin' Pretty. I am privileged to be a guest on her blog today! 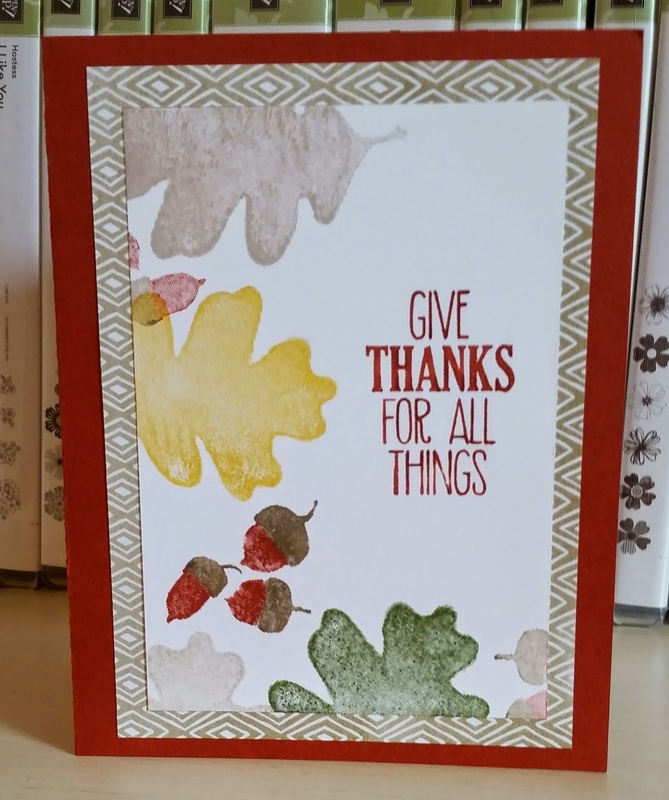 I have envisioned embossing with the new Seasonally Scattered and doing some sponging on top of that and I finally got my chance. 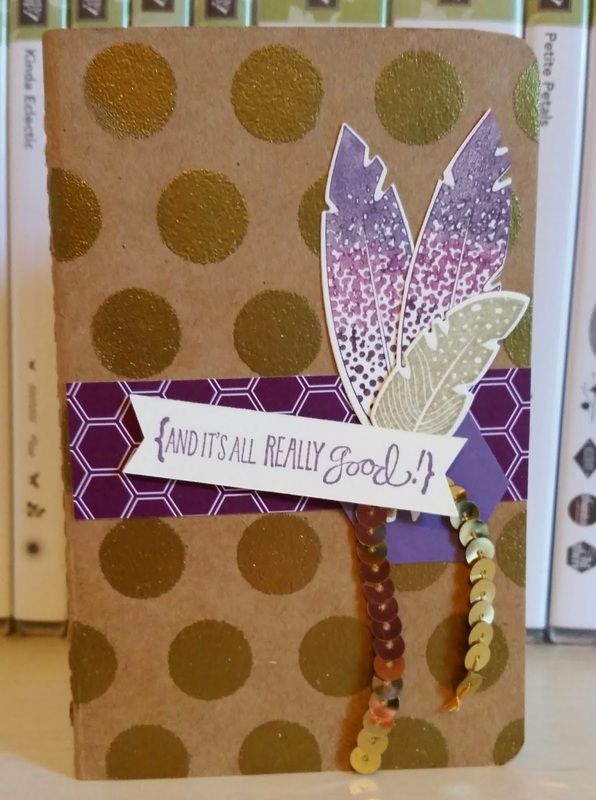 I like the way Stampin' Up! shows this stamp off in the new 2014 Holiday catalog by using it on a tag. 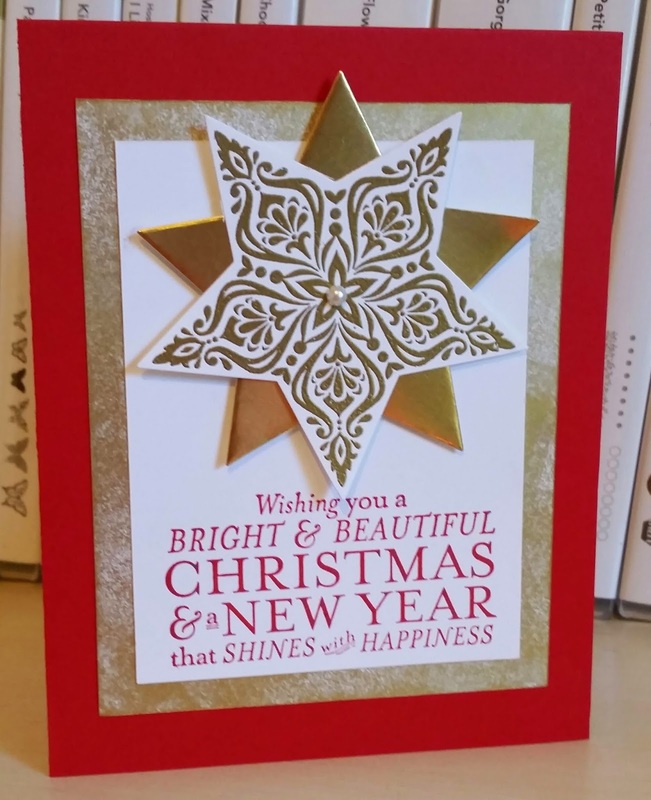 I decided to match it up with some of our new All Is Calm Designer Series Paper(DSP) and add a little bling with the Frosted Sequins. I embossed the tag in Smoky Slate and then lightly sponged Soft Sky over it. I added Lost Lagoon ink around the tag. A few silver sequins gives it some shine! The Tag A Bag gift boxes are narrow but fun to fill. I added lots of shredded Lost Lagoon card stock in mine and will put some fun holiday surprises in there for my college girl! Fun color challenges lately for the fall! This is one of those card where I pulled out a stamp set and some DSP and just started putting together without much plan or having a sketch design in mind. But it came together fine and the Hardwood background stamp makes everything look so textured! I have several friends that went off the college this year. They are doing great! I like to send them something when I can. I sent this journal to my friend, Amanda at Liberty in Virginia and let her know I was thinking of her. I used my favorite color purple and paired it with some gold and bling! I hope she loves it! Well, I had not been to a baby shower in almost two and a half years. I went to one just a couple of weeks ago and then another yesterday! They seem to come in twos or threes. 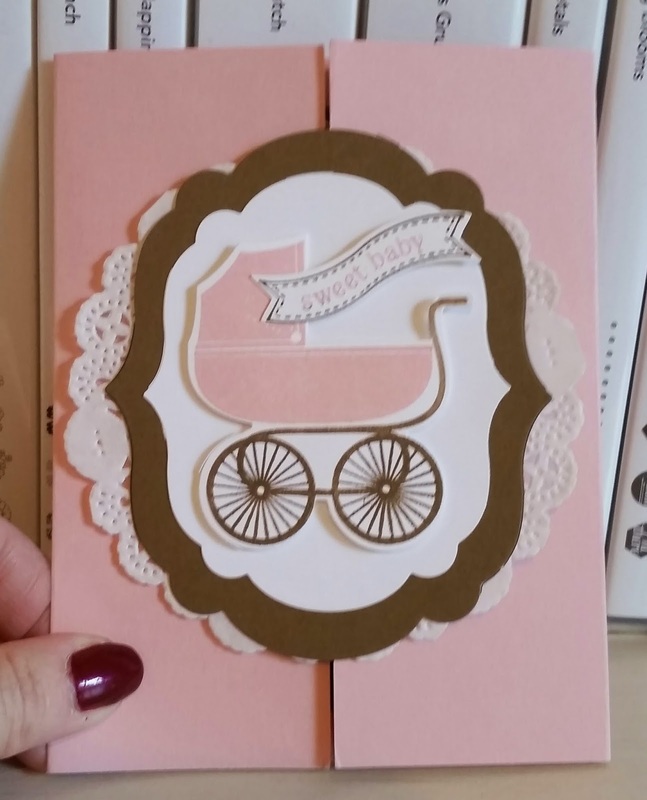 But I usually do not make baby cards but once or twice every couple of years. This Something for Baby set and matching framelits dies makes it so easy. I made some very simple cards for family members last week. 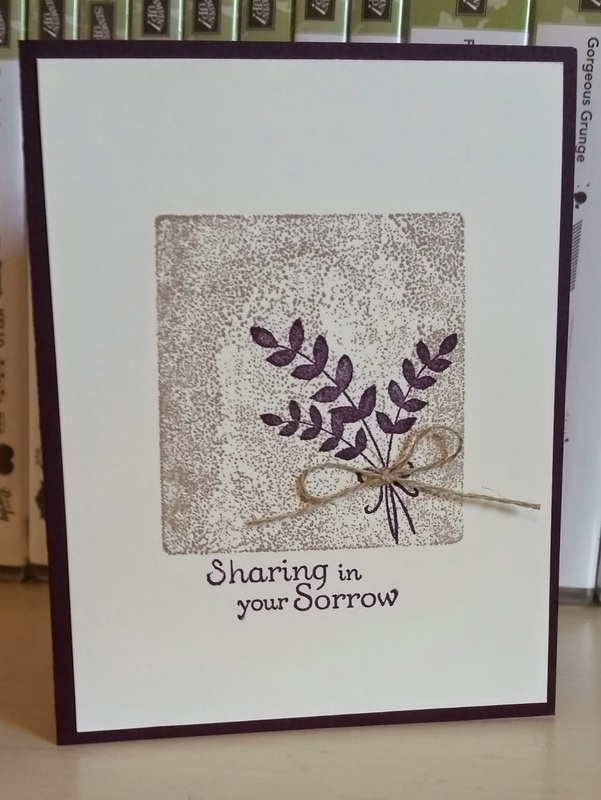 My uncle passed away on Monday, August 25 and I sent several out cards and changed the color using Blackberry Bliss like above and Cajun Craze and Mossy Meadow, too. I inked up my clear D block in Crumb Cake and stamped it down on the Very Vanilla card stock. I have not played with the ghost from Fall Fest as of yet but decided when I saw this great sketch to pull him out! I pictured him white but wanted to stamp him on a color so I gave black a try. 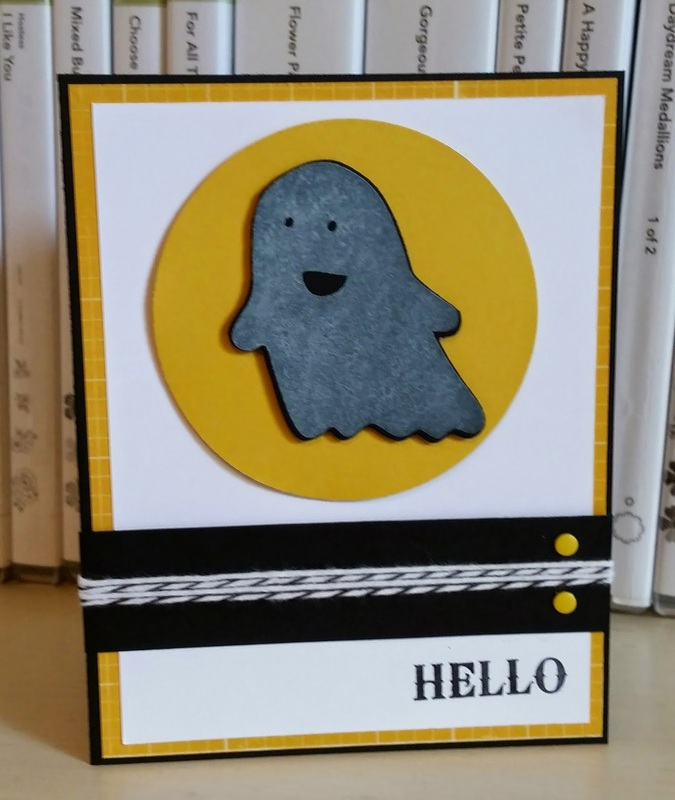 I stamped in Whisper White craft ink on Basic Black card stock and used the matching framelit die to cut him out. Then I thought he needed a moon to float in front of and that is how I came to this color combo. I have decided to name him Boo! Can't image why??? I also call my daughter Boo a lot. And so Boo is going off to my college girl this week! Please have a blessed Friday and thanks for stopping by! 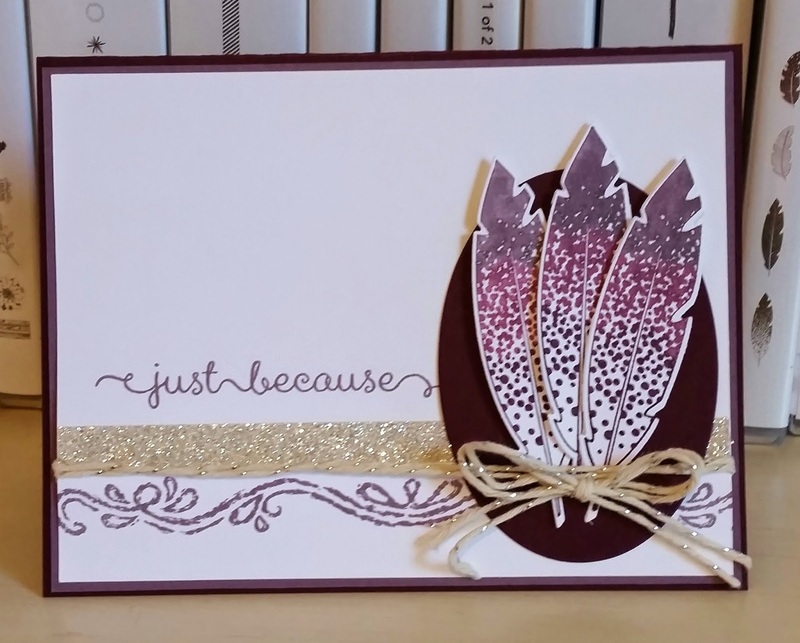 I played around last week with the ombre effect with the feathers. For today's color challenge, I decided to play with the rock n' roll technique on the feathers. I stamped the feathers in Crushed Curry and the rocked the edges in Cajun Craze. 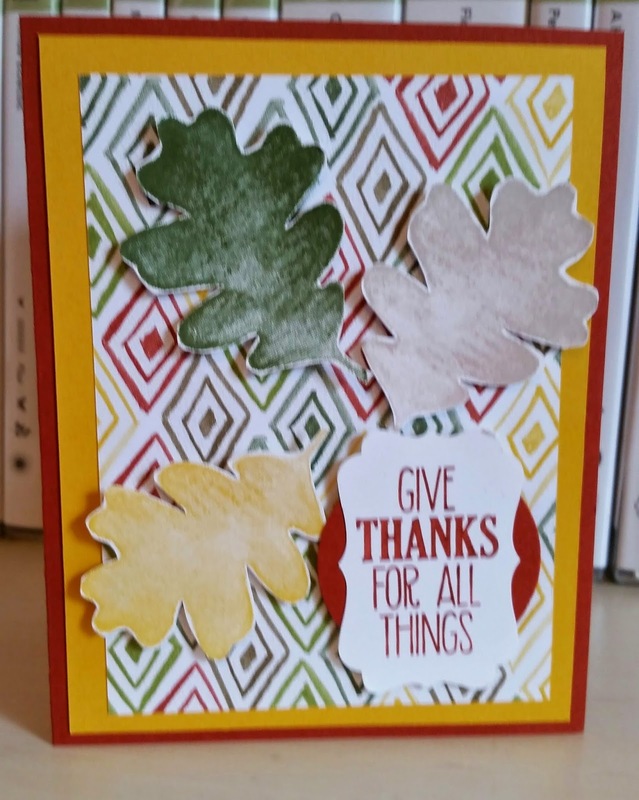 It looks like I made my own Design Paper but I used a piece of the new Color Me Autumn DSP in the 2014 Holiday catalog. It gave the perfect effect with the feathers. I hope you join the color challenge this week and thanks for stopping by! 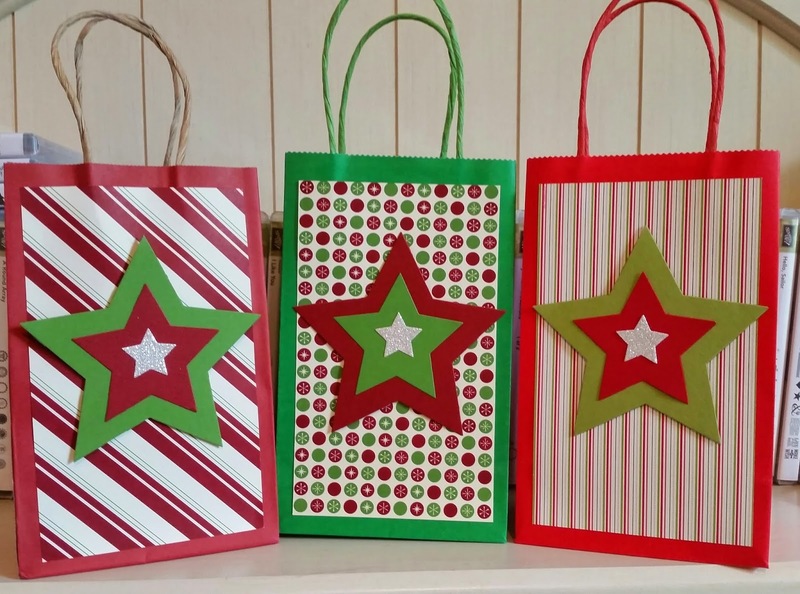 I decorated several small bags for Christmas card class this week. The guest took their cards home in the bags and they can reuse the bags near the holidays. I did use retired Designer Series Paper and even some retired card stock. I decided to show off the star framelits and a little glimmer paper, too! 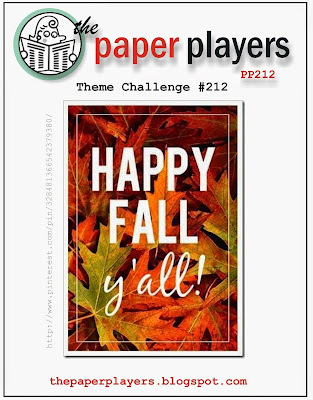 Love when it is a theme challenge! 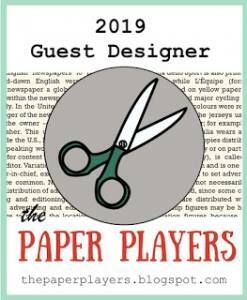 Come play along at The Paper Players this week. I saw a card using thr leaves as a background and decided this theme was a good time to play around with them. I wanted to keep it clean and simple. I love the new emboss folder, Filgree Frame! The folder works well with the Deco Label framleits(the three smallest). I love this single stamp and held on to it from last year. 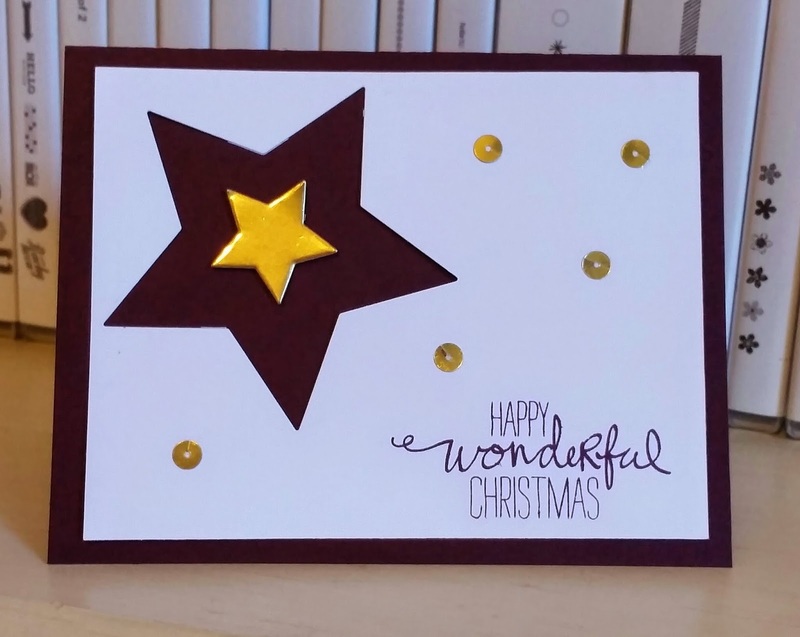 This is the last card for Christmas card class tonight and I think it is elegant but simple. I love using the Blackberry Bliss for a Christmas color. I think it is perfect with the Very Vanilla. There were so many possibilities with this set and matching punch that it was overwhelming for me. I knew I wanted to use the Trim A Tree DSP stack and so the colors came together but how did I want to do the trees? Punch all? 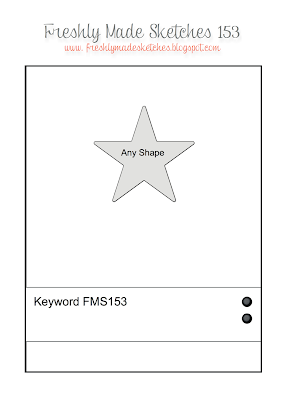 Use only one type? So I picked my three favorite trees and decided to stamp two and punch one and lift on dimensionals and then the adding of red decor was a last minute decision! 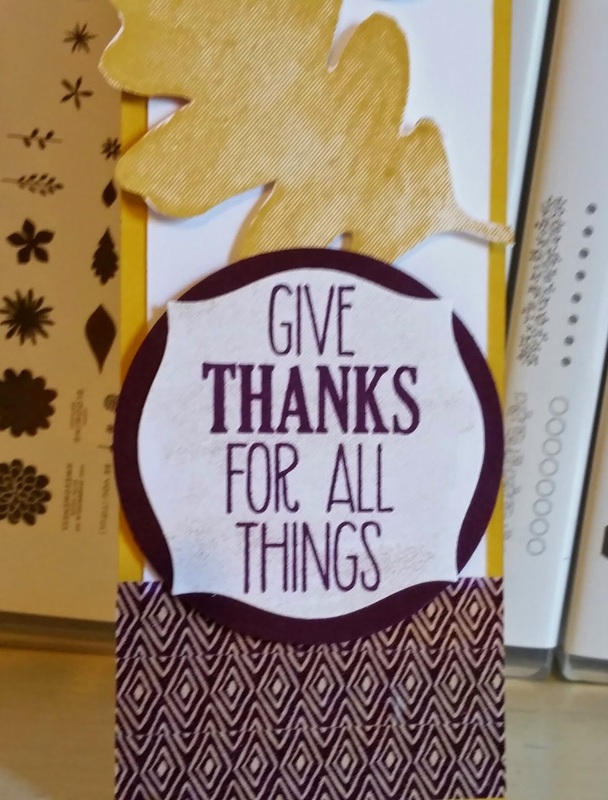 I like the sentiment (which is from an vintage set) with the trees. Have a Awesome Sunday and thanks for stopping by! My third card for Christmas card class next week! 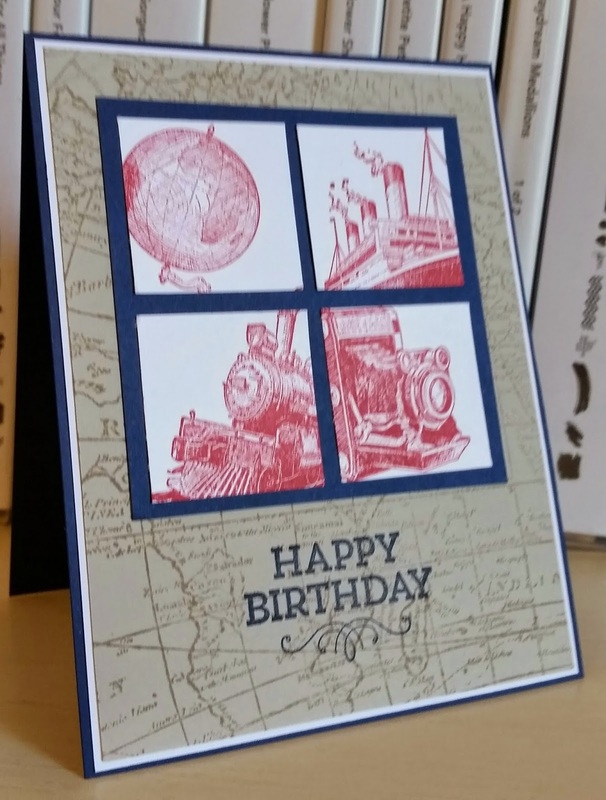 I knew I wanted to do Real Red with Gold heat embossing and I love the sentiment with this set! I did not have enough gold card stock or gold foil for class to do the layering so took a piece of Whisper White card stock and applied the gold ink pad to it to create a gold layer. Tricky trick tricky! Love the stars and having the matching framelits! I have wanted to do the ombre feathers for a while and decided this was a perfect time to try it out with my favorite color. I inked the stamp with markers-lightest to darkest. I had not inked up my Chalk Lines stamp set and thought i would use the scroll design here but then it need a little bling. I added a strip of silver glimmer paper and then some silver twine. The sentiment look like the right fit with the scroll design. I hope you have a grand Friday and thanks for stopping by! 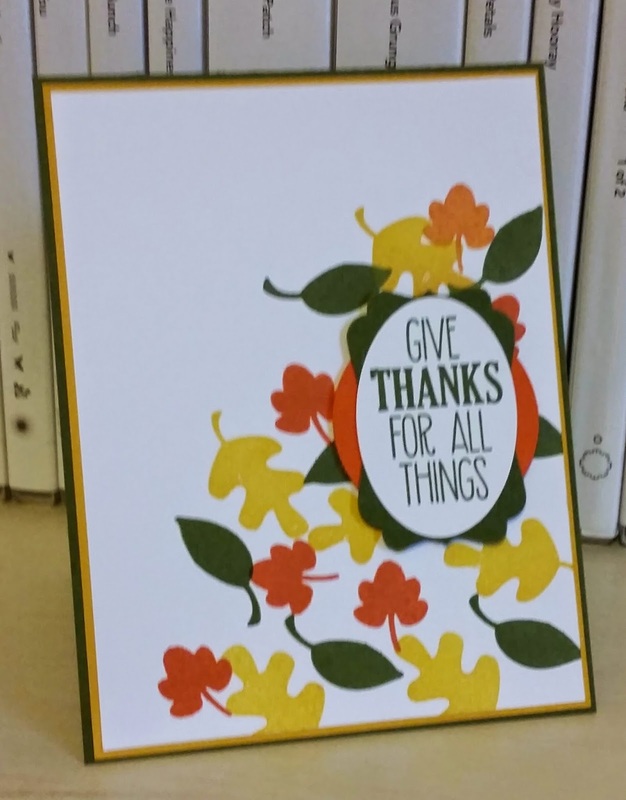 I first decided I wanted to stamp the leaves in all three colors and then I thought about doing something other than a card. I decided to make a book marker for my mom. I love the linen look of this stamp set, For All Things! Close up of the words: I stamped the linen watercolor mark over the sentiment after stamping off in Crumb Cake. Looks very textured in person! 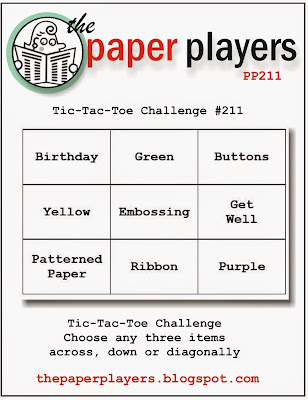 I hope you enjoy your Thursday and please play along in the color challenge this week! Blackberry is my new favorite SU! color! 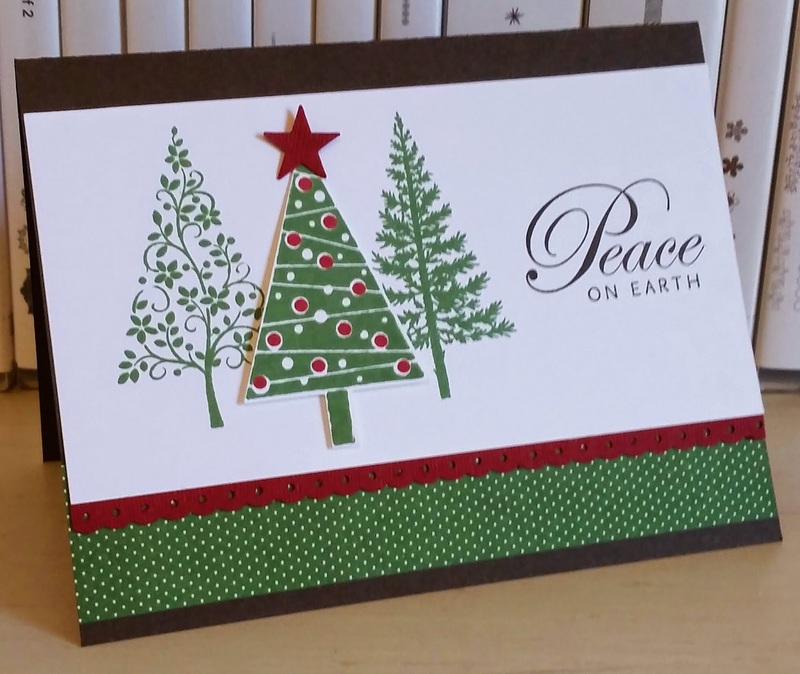 The second Christmas card of the season! 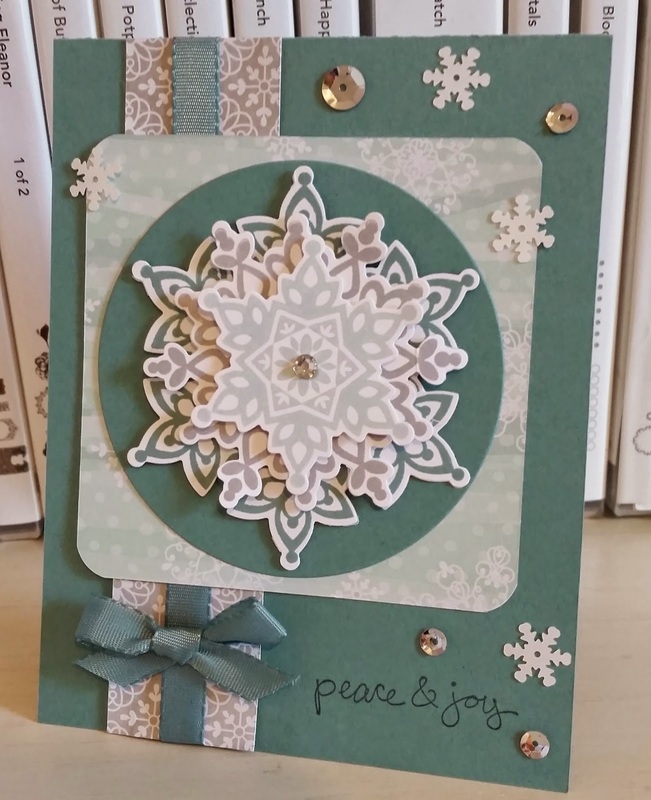 I knew I would use my Festive Furry stamps and matching dies along with the new All is Calm DSP! Love these colors together! It is a little busy but love all the elements together! I decided to go with the bottom row. 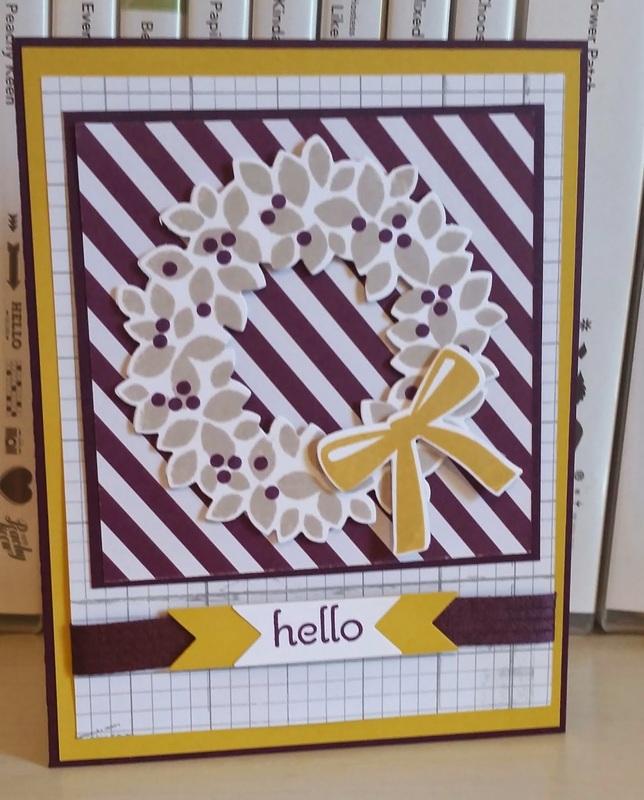 I have not used the Wondrous Wreath stamp set yet so gave it a try.